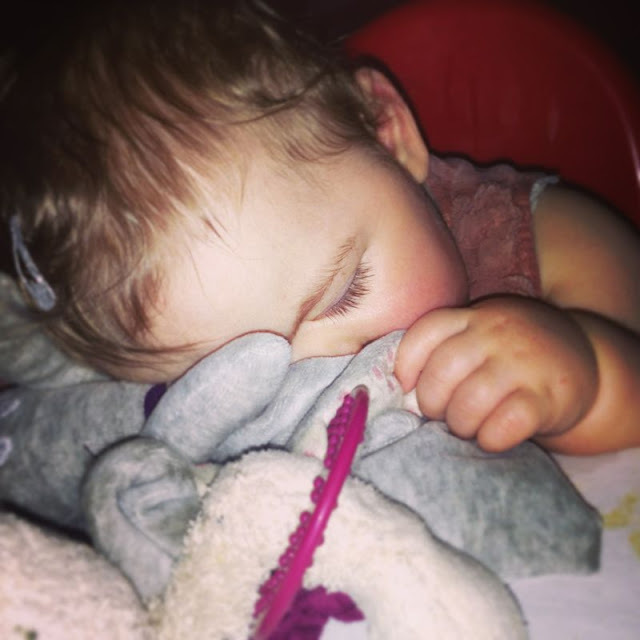 It was funny because we were at a wedding and she fell asleep on the table! Oh thanks shes very cute! makes up for the lack of sleep! ha yes she was asleep in the highchair using the table as a pillow! All snuggled up in the land of nod - very sweet. That is true! even Pants when he is asleep although he sleeps with his eyes open! Awwww that is such an adorable picture.